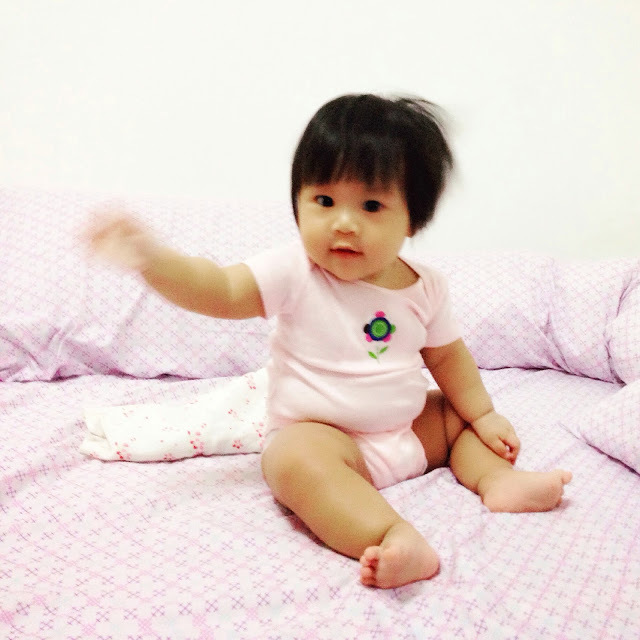 Slowly and steadily, my little baby is learning to sit up when placed her in the sitting position. Not for long though. But happy that she can sit more than 1 second before toppling over. My baby is growing up steadily. Mummy loves you. Photo taken at 7 months 4 days old.